We normally don't cover many custom builds, but this one is extra interesting. On the surface, it looks like any other custom build. Taking a modern motorcycle, in all of its well performing and reliable glory, and making the outside pretty is not a new trick. If I'm being honest, this Yamaha MT-07 "Yard Built" custom by famed builder Shinya Kimura isn't even a trick I think is done particularly well. So why should anyone care? 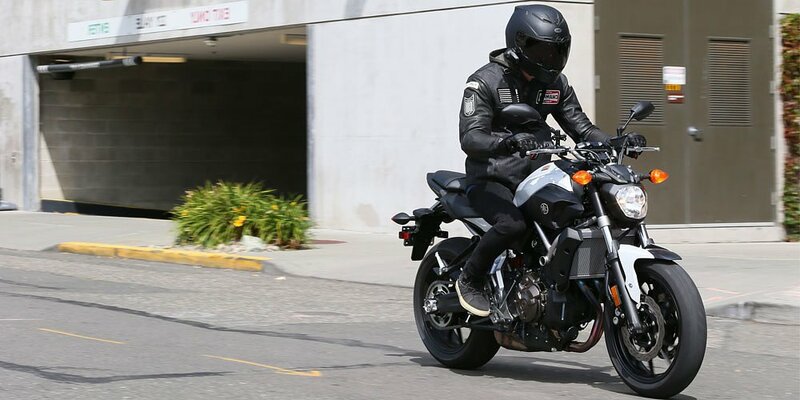 Last week, I wrote in the comments section in our article Why the Ducati Scrambler is the bike for you that the Ducati Scrambler had no real rivals in offering a stylish package, decent performance, and reasonable price, but should Yamaha decide to make something nice and classic-looking on the FZ-07 platform, we'd be having a different conversation. Well, rumors are that this custom, which debuted at the Wheels and Waves custom bike festival in France, is the basis for an upcoming model from the piano company. It seems building custom bikes on existing platforms to preview what's coming is all the rage these days. First the BMW Scrambler, now this. This bike looks like many of Shinya's builds, and comes without any hint that he was told to design for the cafe-loving masses. I'd have to assume a production version will be far more Star Bolt than this custom, which is half terrifying and half exciting. There is basically nothing we can infer from from this custom about what a production version will look like, so the only real news here is that Yamaha is saying the bike's purpose is to hint at what's to come. Will a Japanese brand have the daring to build a production model that gets close enough in the looks department to the custom? And no, the Honda CB1100 didn't do that.